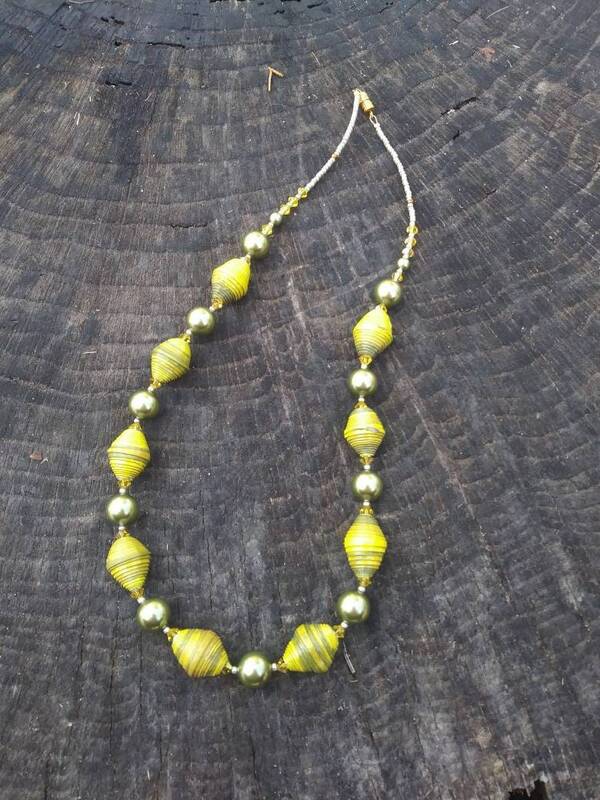 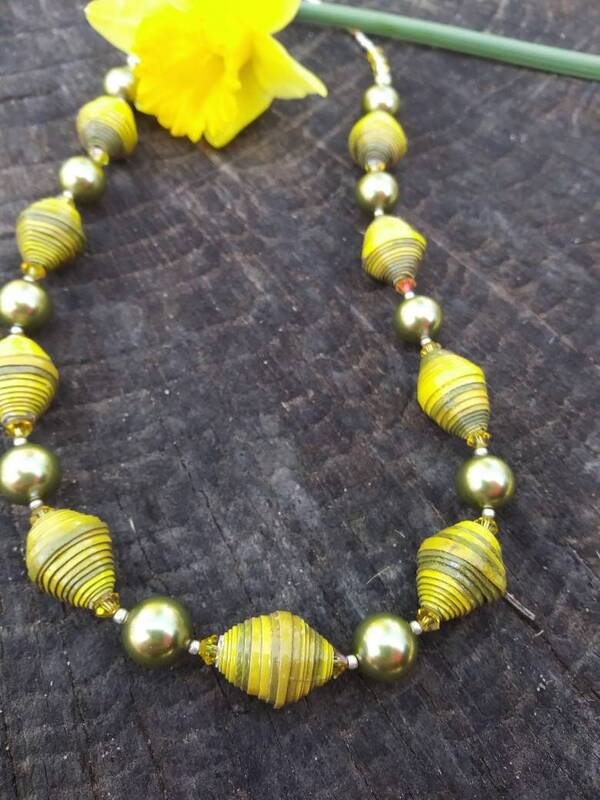 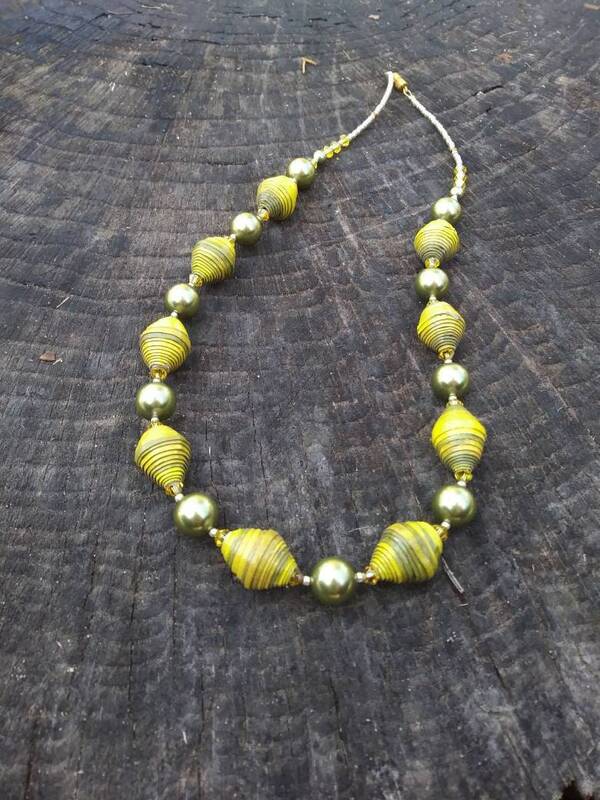 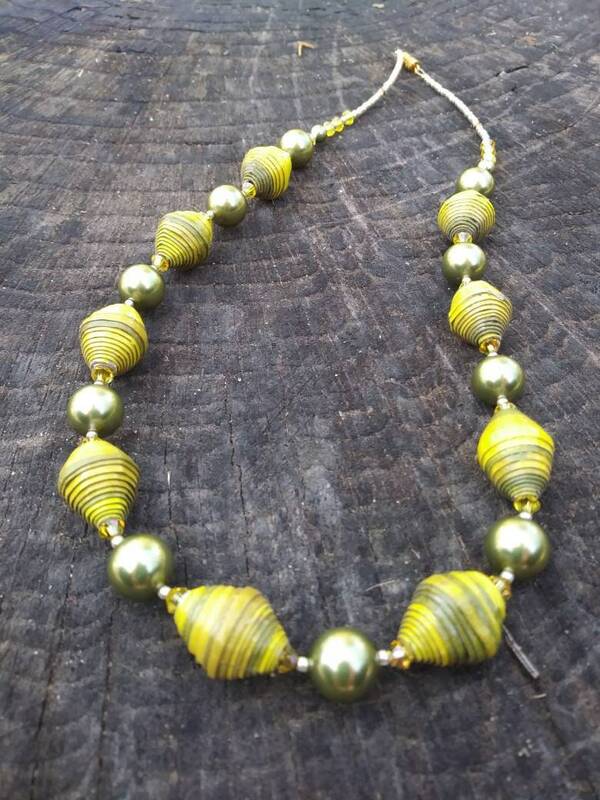 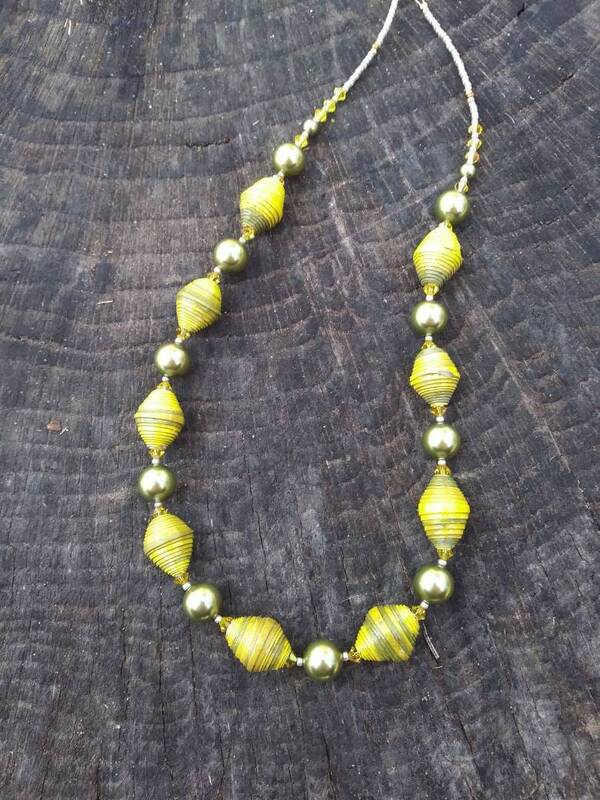 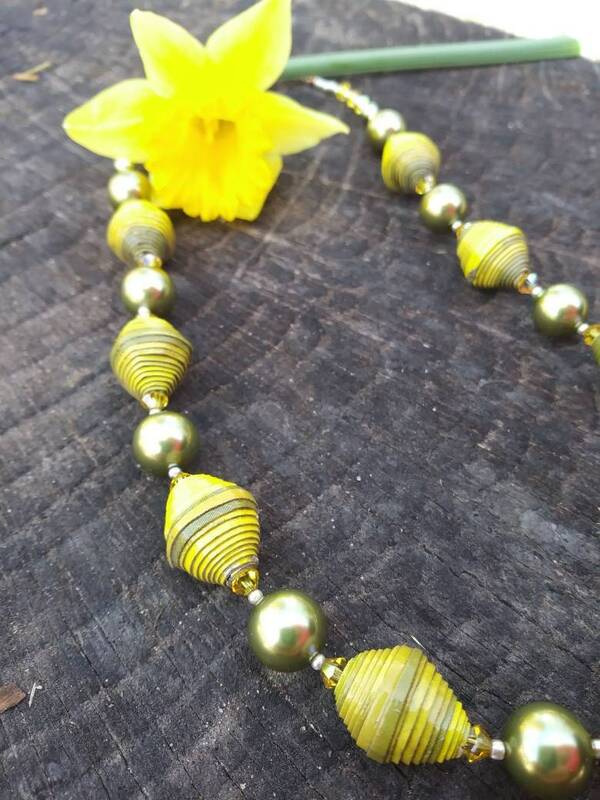 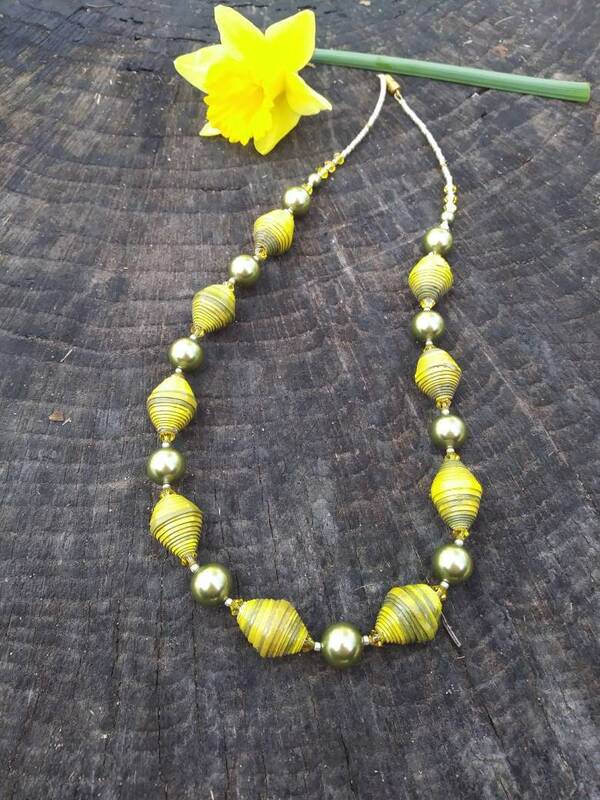 Lovely lemon and lime color paperbead necklace. 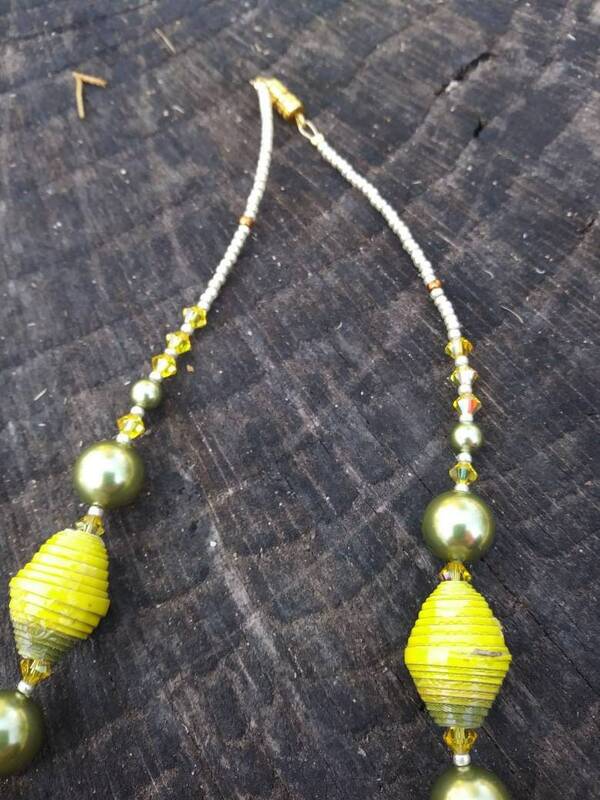 Unique combination of swarovski pearls and crystals with handmade Haitian paperbeads. 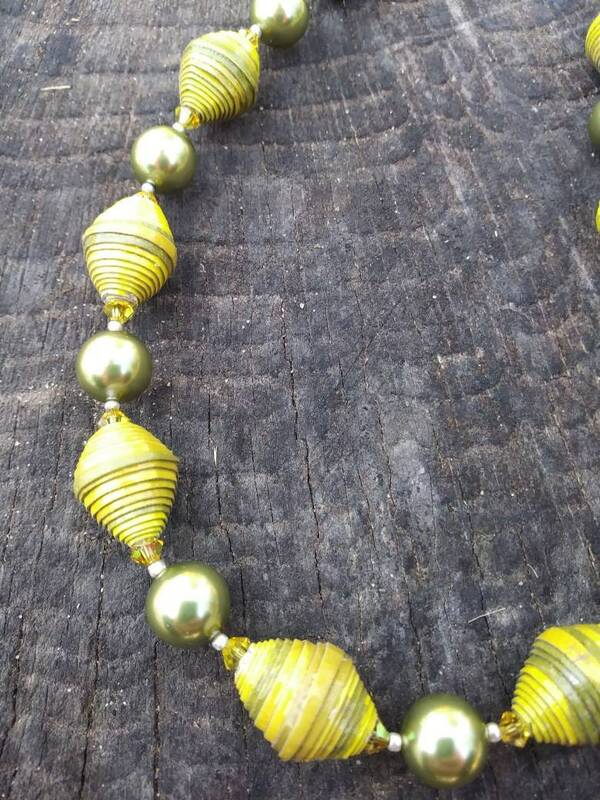 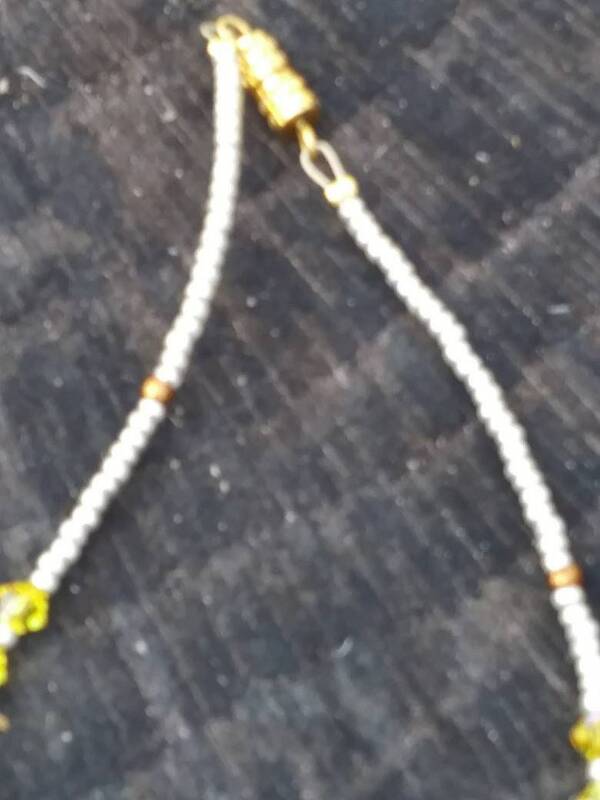 Simple gold clasp with petite glass beads lay comfortably on the neck, while the pearls and paper make quite the focal point.